This is a weeping kind of Edo Higan cherry trees, and from ancient times were planted in temples and shrines. 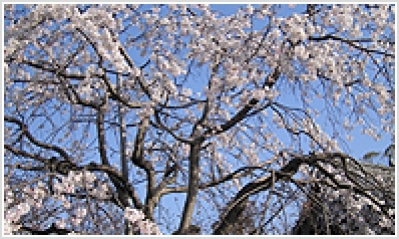 It is said that the tree itself grows very fast, and starts "weeping" by the force of gravity before the lignification. The tree tends to last long and grow into a big tree, sometimes with a split trunk.